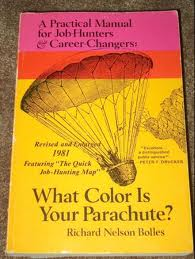 I leafed through the book back in 1981 and took the associated tests to decide a possible career path. I’d already declared my major as elementary education but thought, maybe, I should check out all my options. 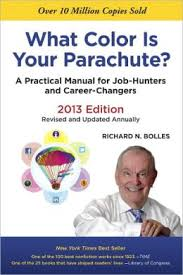 When career counselor unveiled the results, I was most like to be a human resources administrator in a “big” agency. That’s a far cry from the elementary school teacher I was intending. I ended up teaching for only two years before I made my way to the non-profit world. I’ve worked in daycare, YWCA’s, as a grants program officer, in a college access program, and several other things since I took that career assessment. On Monday though, I’m going to be starting a new chapter…as a Human Resources administrator. Actually, I’ll be the Vice President of Human Resources and Quality at my current place of employment. Today’s thank you goes out to the Career Planning and Placement Office (that’s what it was called back then), for making me take that skills assessment. It took more than 30 years and the parachute has been blown wide open!